Just a week following the announcement of the Profoto B2 compact, portable, battery powered strobes, Elinchrom has announced the ELB 400 for delivery later this spring. The ELB 400 replaces the Quadra Hybrid lineup. So what's new? Read on gentle reader...Elinchrom led the market with inexpensive battery powered, strobe powered, studio style lights. The line evolved from lead-acid batteries to Lithium Ion, and offered two heads, the S series speed heads and the faster A series heads. 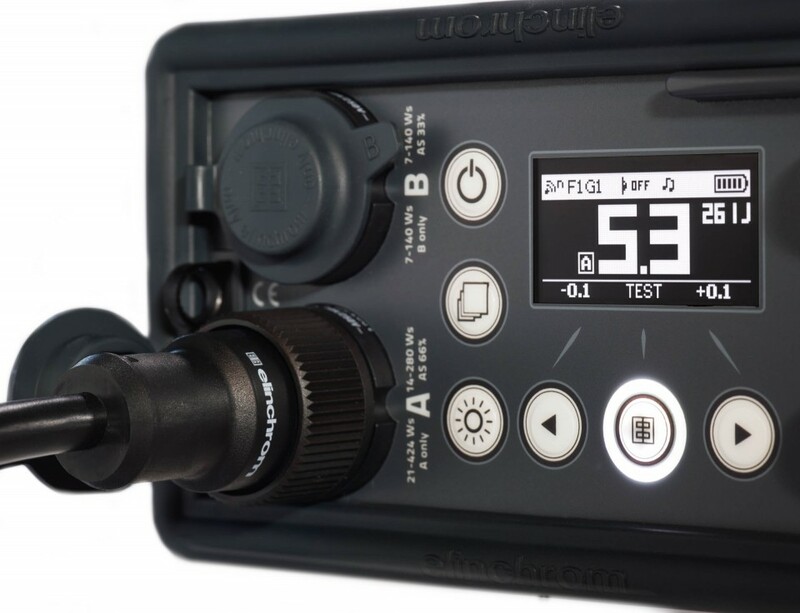 The ELB 400 builds on the concept of the Quadra with a new OLED display similar to that found on their ELC series of studio strobes as well as a UI redesign on the top of the controller. Any Elinchrom user who invested in the prior system, or in other Elinchrom modifiers has excellent investment protection. The new heads, look like the old heads, and take the same mounts and modifier adapters. Cables, batteries and the like are still usable. Basically the controller has changed, and like the prior version, the heads are now called Action and Pro, instead of A and S.
The unit can deliver 424ws of power, across asymmetric ports A and B. It delivers strobe, delayed flash, and sequence shooting. Recycle time is improved by 20%. Elinchrom estimates that you will get 25% more full power shots from a charge, now 350 full power pops. A heads can support hypersync and a flash duration as short as 1/6900s. The heads are small and lightweight, and you can get longer cables to the pack if needed. They incorporate an LED modelling light with output equivalent to a 50w bulb. 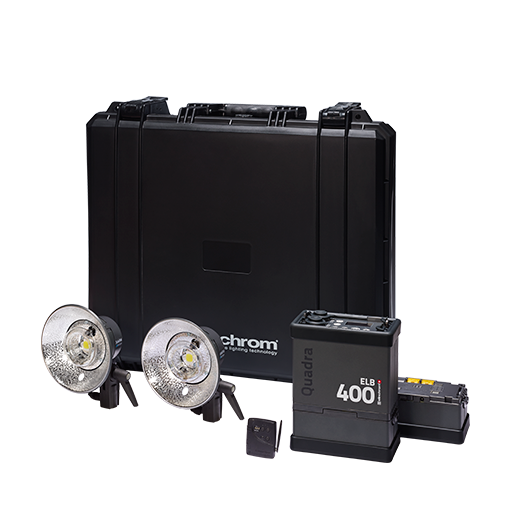 The kits include the proven and simple to use Elinchrom EL-Skyport radio system. This is not a TTL control system, it's manual flash triggering but supports multiple channels and groups. It's so simple to use, I recommend Elinchroms to folks starting out with studio lights because they are so simple and so quick to get going with. As one would expect, there are To Go kits to be available, basically the same except you choose Action or Pro heads. Required to use full size Elinchrom modifiers is the Quadra Reflector Adapter Mk II, although if you own the original adapters, they should work fine. The reason for this is that the heads and mounts are very lightweight and the mount is not strong enough to handle the weight of a full size modifier. There are Elinchrom Quadra specific modifiers, but they may not be as nice as you want. The heads can support up to a 105cm umbrella, but my experience says that the mount on the first version slips over time tilting in the direction of the weight. The folks at Lastolite make an adapter for Quadra heads to use their Ezybox and HotRod soft boxes and I use these regularly. It makes for a very light and very transportable system. The battery pack / controller hangs on a strap over your shoulder or off the light stand and the cable connects the pack to the heads. An Asymmetric system has two ports that are powered on a ratio. The A port is powered according to the output levels. The B port fires at half the power of the A port giving an automatic 2:1 lighting ratio. This makes a two light setup very easy to do and get to the photography. I own the Hybrid system and it works very well. It's light, has lots of power and the EL-Skyport radio system could not be simpler to use. 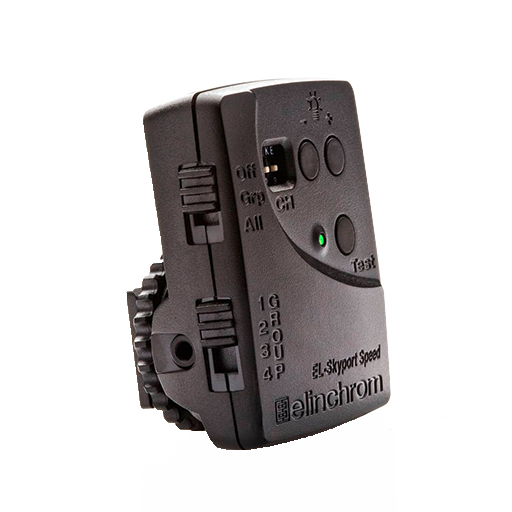 Moreover, if you use other Elinchrom strobes, the same radio system can control all your lights. This makes an Elinchrom investment long lasting. Elinchrom modifiers are not the toughest out there, but their speedring system is the easiest I have found to use and gives you the fastest set up and tear down. The ELB 400 looks like a great next step for the photographer needing portable and powerful battery powered strobes. Retail for the Action Head To Go Kit looks to be about $3,599, so less than the Profoto B2 two head kit. The Elinchrom kit does not have TTL capability but does come with the radio transmitter whereas the Profoto system uses a separately purchased trigger. AC powered moonlights will cost you less, but you give up the portability of the battery packs.